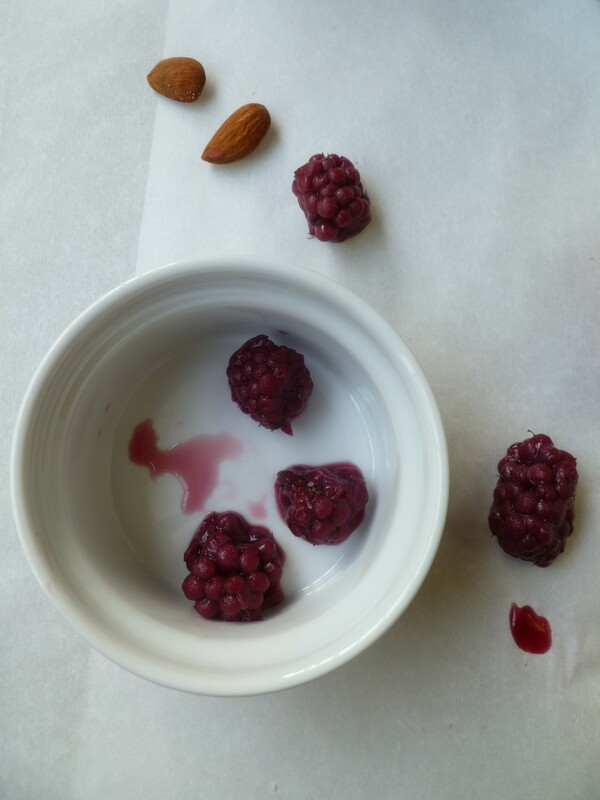 It is handy to have in the pantry the makings of a fruit dessert which may be made regardless of the season or the chances that the necessary fresh ingredient will be in the market on the day it is required. 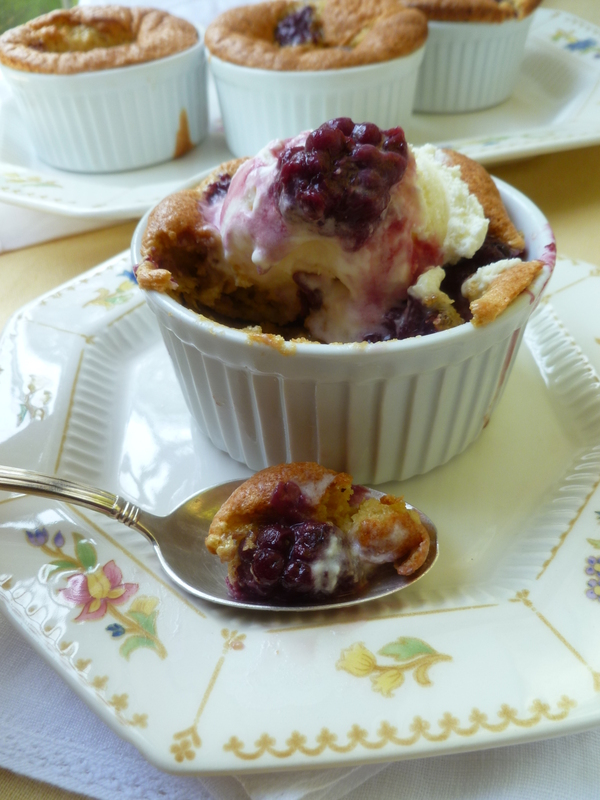 Boysenberry Amandines, using canned berries, make a worthy end to a special dinner when the local in-season fruits have ceased to inspire and, however good they may be, long familiarity makes us long for the unfamiliar. A Note of Apology to Subscribers: The amount of light brown sugar was incorrectly stated in the email version of this recipe. 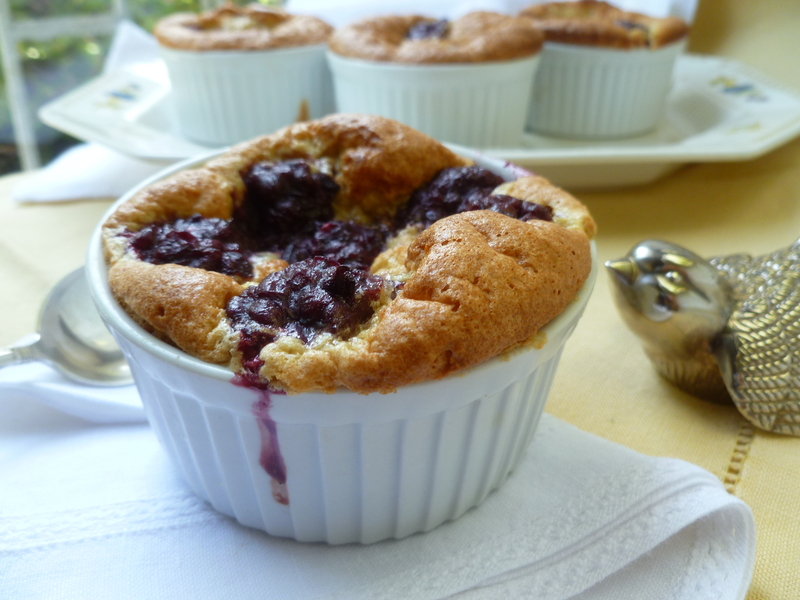 The correct amount for 8 ramekins is 1/2 cup plus 2 Tablespoons. Please forgive the error. 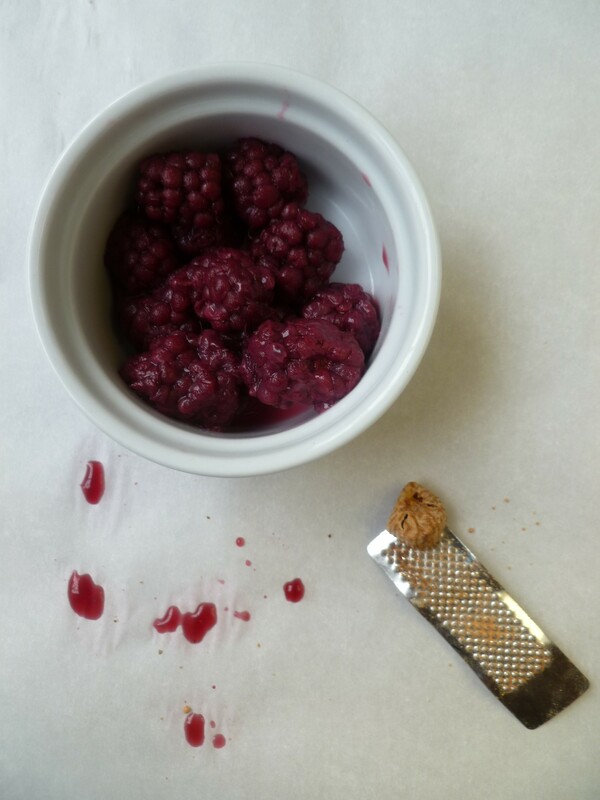 Timing Note: Boysenberry Amandines bake for only 10 minutes and should cool a little before serving. They appear underdone when they come out of the oven…but that’s ok. 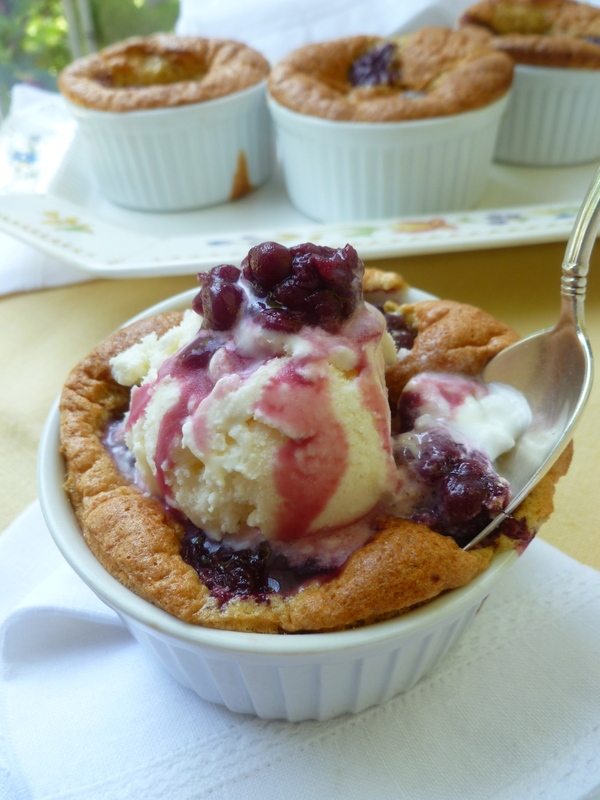 They continue to cook a little as they cool and should have a softer-than-cake consistency when they are served. Ingredients: The closest metric equivalents are given in parentheses. Homemade Vanilla Ice Cream: The recipe used for the photographed dessert is here in this previous diplomatickitchen post. Any ice cream you like will be a good substitute. 1. 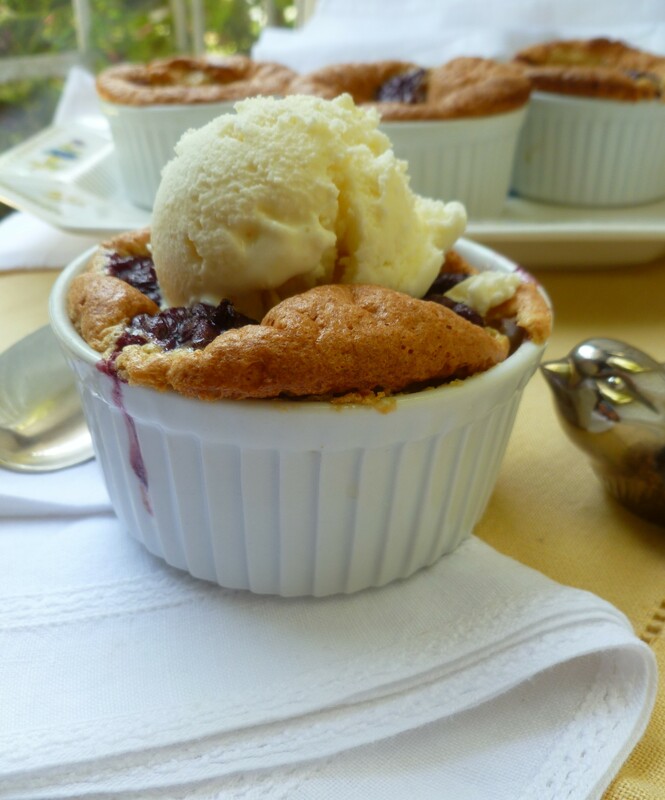 Butter the ramekins and put them in the refrigerator while making the batter for the amandines. 2. Preheat the oven to 400 F. (200 C). 3. 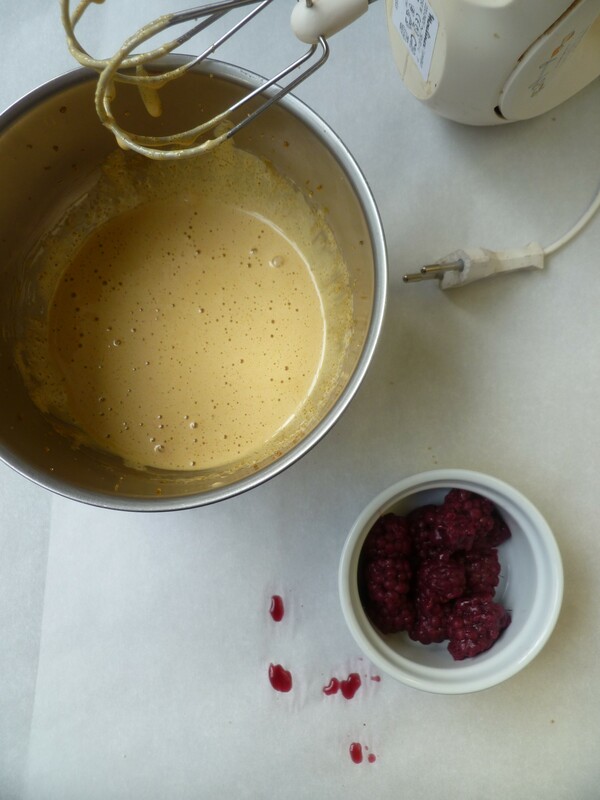 Place a strainer over a mixing bowl and strain the canned berries, reserving the juice that collects in the bowl. Set both the juice and berries aside. 4. Separate the eggs, placing the yolks and whites in two separate mixing bowls. 6. Beat into the yolk mixture the butter, powdered almonds, cornstarch, vanilla, and nutmeg. 7. In the third bowl, beat the egg whites until they hold firm peaks, then fold them into the yolk and almond batter. 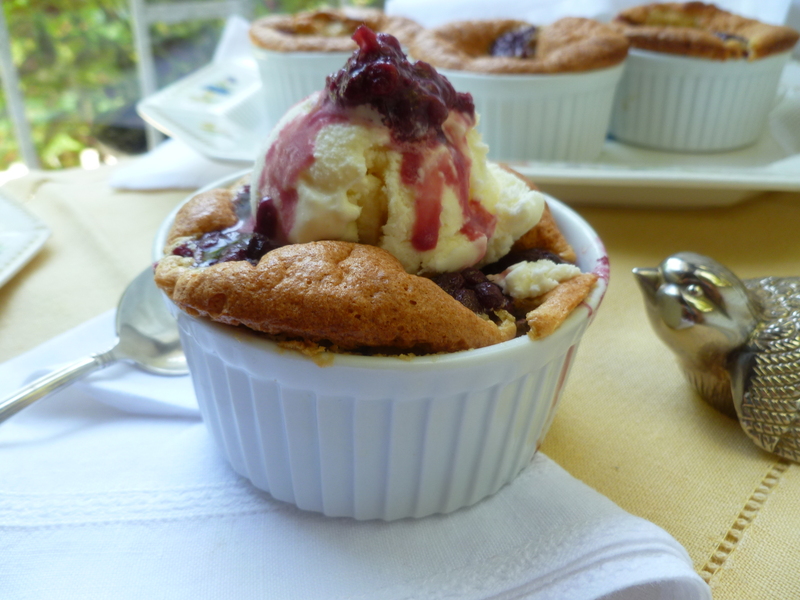 …and bake the desserts for 10 minutes, or until they are golden. 9. Remove them from the oven. 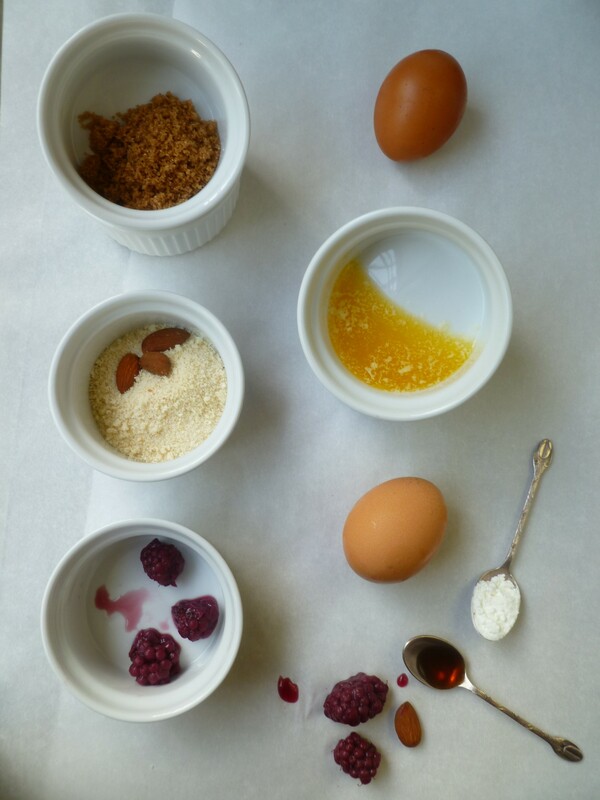 The amandines will look underdone. This is ok. 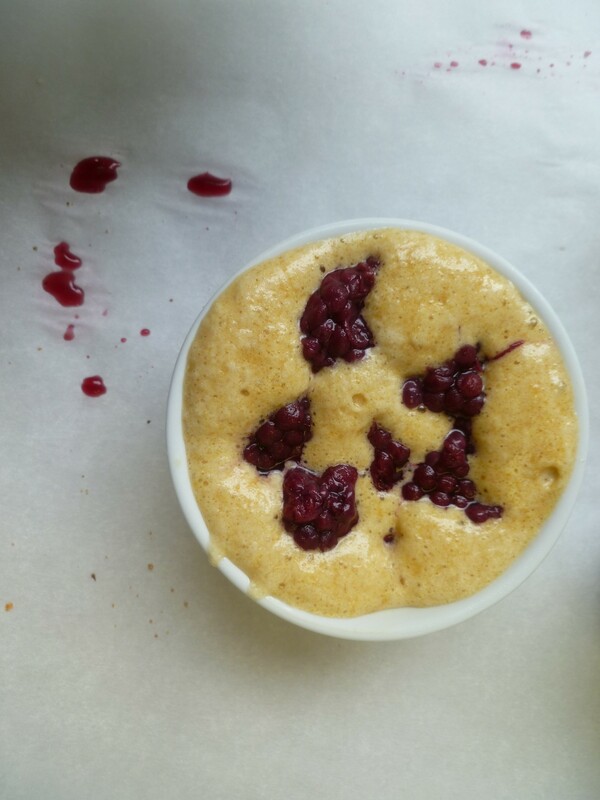 They will continue to cook a little out of the oven and are supposed to have a softer-than-cake consistency. Let them cool a little…lukewarm is fine. 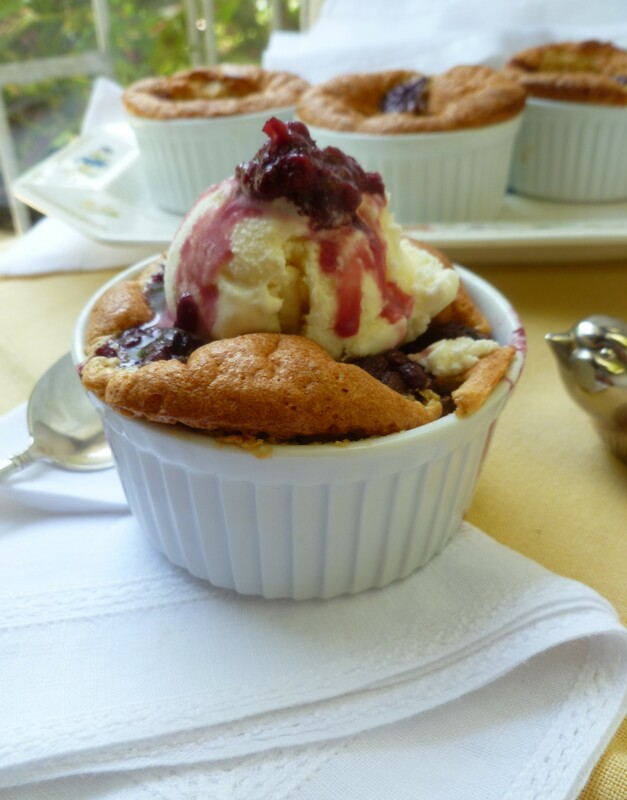 A Note: Boysenberry Amandines with Homemade Vanilla Ice Cream is adapted from a recipe on the website Papillotes. The dessert is served at the conclusion of the diplomatickitchen Dinner Menu: Alpine Dinner. Do you mind if I quote a several of your articles as long as I provide credit and sources returning to your weblog: . I’ll aslo be certain to give you the proper anchortext hyperlink using your webpage title: . Be sure to let me know if this is acceptable with you. Thanks! Yes, you have my permission to quote from the blog articles.